STARRING Ian Bannen, David Kelly, Fionnula Flanagan, Vince Regan, Susan Lynch. SYNOPSIS Someone in Tullymore has won the lottery, but no one knows who and in a village of 53 people secrets are hard to keep. 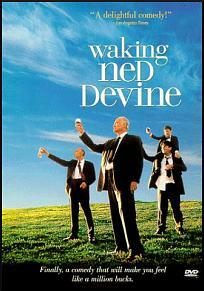 When Ned Devine is missed, his friends Jackie and Michael go looking for him. 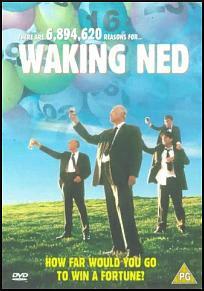 They find Ned DEAD in his home, still clutching the winning ticket. The shock must have killed him, but his friends are not going to let the millions go back into the pot. They hatch a plan and get the whole village in on it. Michael is set to impersonate Ned and the village is going to support him, together they will fool the lottery official and share the money ... or will they?